Institutiones (with the Glossa ordinaria of Accursius). Mainz : Peter Schoeffer, 24 May 1468. Found with and without the printer's mark. ISTC note: PML (vell, without printer's mark). 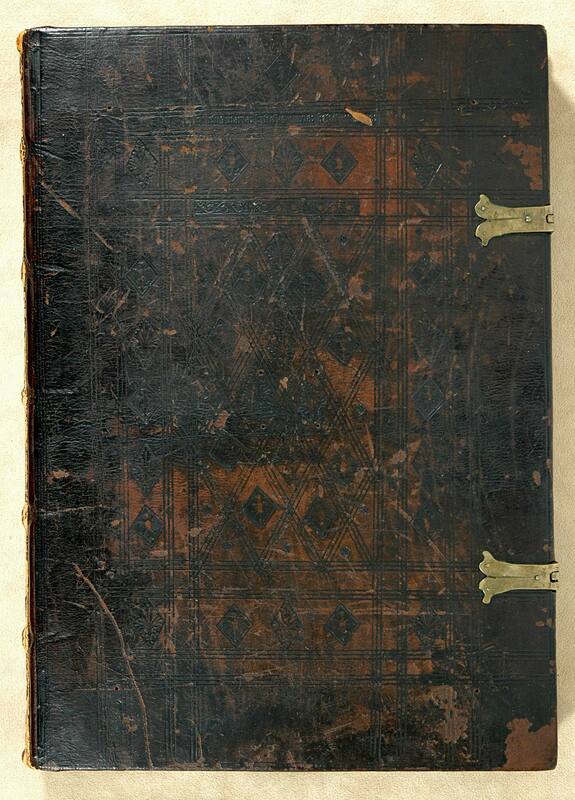 Contemporary German binding, blind-stamped calf, with tools assigned to the Carmelites in Mainz, EBDB w000023 (Kyriss 160) in the Einbanddatenbank online (consulted on Dec. 14, 2010).